Suez has reiterated a plea to the Government to build more incinerators, after publishing a regional analysis of the UK’s capacity to treat residual waste. 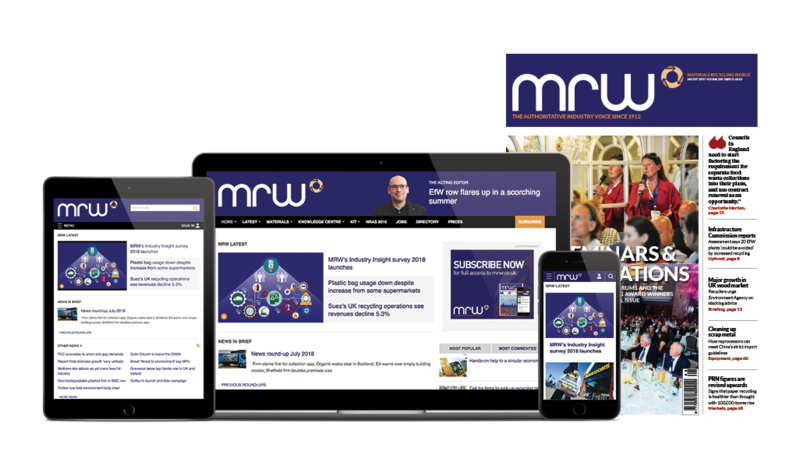 Its Mind The Gap 2017 report was launched at the RWM trade show, updating a report published in 2014. It analysed 14 ’trading zones’ within the UK, divided by transport and ’logistical considerations’. Of these, only one – the M62 corridor that takes in Manchester and Leeds – was estimated to have an overcapacity of treatment facilities by 2030. Eight were estimated to have an undercapacity, while six have the right mix between waste arisings and treatment options. The report warned that landfill closures had accelerated at a “faster rate than anticipated”, and that Brexit could lead to lower exports of refuse-derived fuel. These factors added to the case Suez is making for developing incinerator facilities. It concluded that the Government needed to maintain a ”stable long-term policy framework” if private capital is to be unlocked for future energy-from-waste (EfW) projects. Speaking at RWM, the report’s lead author, Suez technical development director Stuart Hayward-Higham, said devolution of UK regions had led to differing regional capacities. Suez UK chief executive David Palmer Jones (pictured) said: “Regional disparities are starting to appear, in a very worrying way for us. “Much has changed since [the 2014 report], not least the small matter of Brexit, National Sword in China and how that will affect our recycling rate, and a proposed incineration tax in Sweden – which is coming, [according to] my reliable information. He added that Suez had been led “unwittingly” into trying to fill a policy void left by the Government, which he said had “abandoned” the sector. Suez released the headlines of the analysis in August, ahead of its scheduled publication, in response to a report by consultancy Eunomia which warned that the UK was heading for an overcapacity of EfW plants. The disagreement over projections has been hotly debated within the sector, with Suez and Eunomia basing their reports on very different fundamental assumptions over future waste production and recycling rates. Chris Holmes, managing director of the Green Investment Group, also spoke at the RWM event. He broadly agreed with Suez’s analysis, and called for better quality data on commercial and industrial waste to become obligatory. The Renewable Energy Association (REA) said the report demonstrated the need for further development of advanced conversion technology (ACT) such as gasification facilities. Mark Sommerfeld, REA policy analyst, said: “The report clearly highlights the extent of the waste management challenge facing the UK during the next decade. Falling levels of landfill capacity are good to see but, when combined with anticipated rising waste export costs and low levels of local authority waste infrastructure, it is clear that the UK needs fresh investment into advanced waste management systems. Further analysis of the UK’s capacity will be carried out during the next few months. The Government’s National Infrastructure Commission awarded environmental consultant Anthesis with a contract to review the UK’s waste infrastructure. The purpose of the study is to “identify the best value infrastructure investment strategy, weighing the costs of separation and different treatment/disposal pathways against the economic, environmental and social benefits”.